Skate in groups of four. 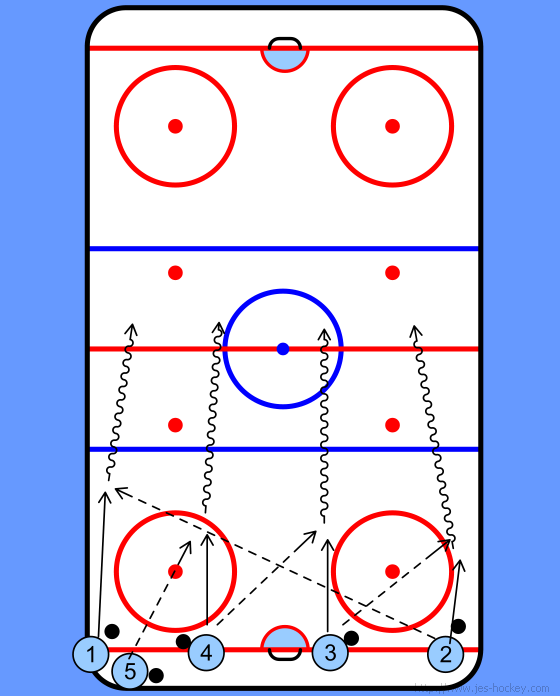 Drill starts with a pass from 2 to 1. When 1 starts skating, 5, 4 and 3 pass to the right. After that it is 4 times 1 against 0 as fast as you can to the goal.